Fourth of July is a time to celebrate the founding of our nation and what makes this nation so special, including our freedoms, ingenuity, and old-fashioned hard work. It is also a time for us to appreciate American-made goods and services. Here at Weaver Memorials, every day we celebrate and promote one of the most durable products the United States has to offer: American-sourced granite. When Americans want to make a lasting tribute, they choose granite. A quick tour of Washington, DC reveals some of the most iconic monuments and buildings feature granite, including the Korean War Veterans Memorial, Library of Congress, FDR Memorial, and the steps & reflecting pool at the Lincoln Memorial. Granite’s durability means that these memorials will live on for generations to come, passing on our story – and the story of America’s greatest events and people – to our descendants. 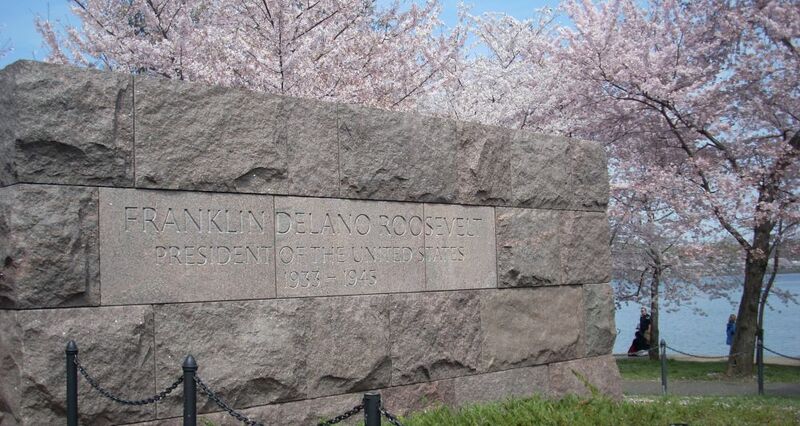 Washington’s FDR Memorial features over 7 acres of rough cut American granite. For hundreds of years, the mountains of New England and the quarries of the Mid-Atlantic have been producing granite for use in memorials, tombstones, and buildings. One of those quarries is found right here in southeastern Pennsylvania. The French Creek quarry in Elverson, PA produces American Black granite, valued for its rich black colors and white veining. Located just minutes from Valley Forge and our nation’s first capital of Philadelphia, the granite produced here will be used to tell the story of Americans like you for years to come. In recent years, there has been an influx of imported granite, mostly from China and India. While the products may look the same to the untrained eye, imported granite is inferior in quality, durability, and strength. Plus, transporting large amounts of these heavy stones expand our carbon footprint and negatively impact the environment. 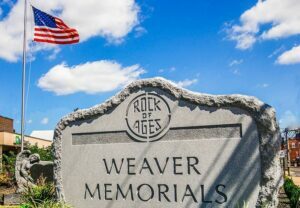 At Weaver Memorials, we are proud to offer the best granite products found in America. As a locally and family-owned company, we pride ourselves on buying American products and supporting American jobs. Over 90% of the granite we use for our memorials is sourced from right here in North America. From the quarry workers mining the massive granite stones to the craftsmen in our New Holland, PA monument shop, every step of a memorial’s journey involves hard-working Americans. When you purchase a memorial, your money stays in the community and supports families right here in Southeastern PA.
From all of us here at Weaver Memorials, we wish you a safe and happy Fourth of July.